A military court has extended the remands of both the mother and brother of Ashraf Nalaweh, the murderer of Ziv Hajabi, Hy”d, and Kim Levengard Yechezkel, Hy”d. The two have been in custody for about a month, arrested shortly after Nalaweh murdered the Israelis in a terror attack in the Barkan industrial zone near Ariel in October. The brother of Nalaweh will be held until the end of proceedings against him, the court ruled, while the mother’s remand has been extended for two months. Both are accused of acting as accessories both before and after the murders, including helping the terrorist elude authorities. Honenu attorney Chaim Bleicher, who is representing the victims’ families, expressed satisfaction over the decision. “We will continue to work with the families of the victims during the trial and ensuring that justice is done, and to ensure that we do not make any concessions to terror,” he said. IDF soldiers overnight Wednesday seized weapons that were to be used in terror attacks. Soldiers, working with police, discovered weapons in Arab villages in the Gush Etzion area. 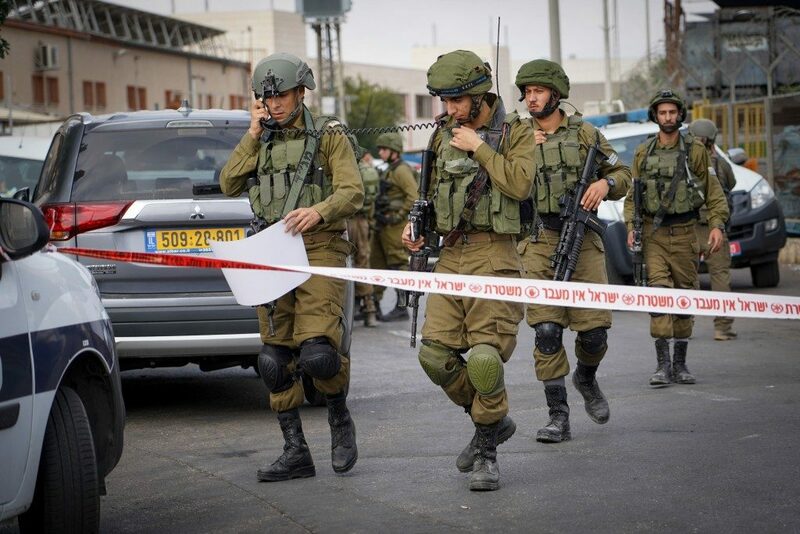 In a statement, the army said that such weapons were used in terror attacks as well as for criminal activity, and that security forces were determined to seize all weapons that were being held illegally by all people, in order to better protect all Israelis and residents of Palestinian Authority-controlled areas, who are also under threat by terrorists and criminals.